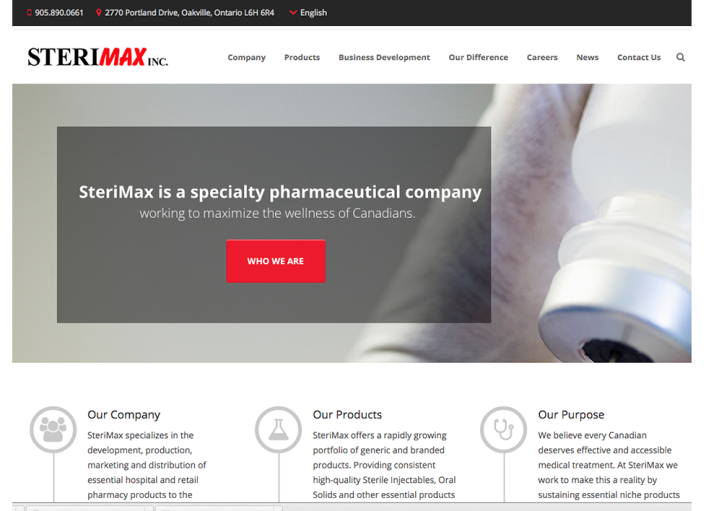 SteriMax Launches New Website | SteriMax Inc.
SteriMax Inc. is pleased to announce the launch of a new, totally-redesigned website. The website comes at a time of growth for SteriMax Inc. with our company moving to a new facility and set to release a number of exciting products in 2015. We hope that you enjoy the enhanced functionality, user-friendliness, and product information on the new web experience. To learn more about our commitment to the Canadian health care system, please click here.